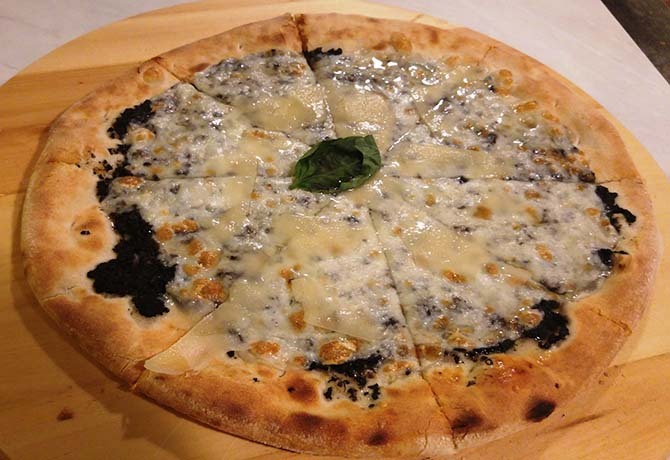 The rich Tartufina pizza ($24) with mozzarella and truffle paste is a must-have for truffle lovers. 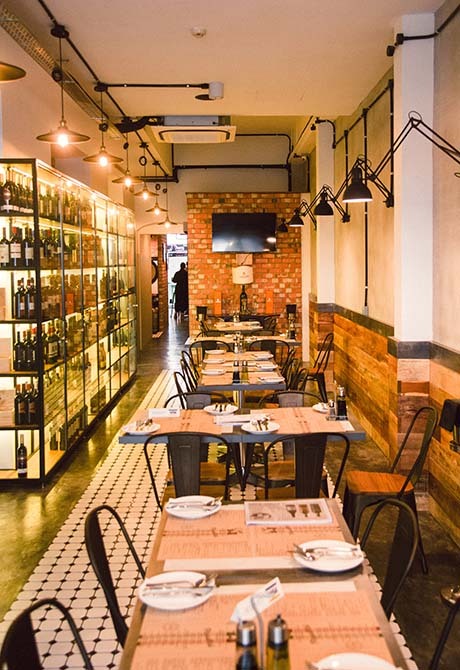 Navigating the little streets of the Haji Lane enclave is an experience in itself — with windows to different cultural worlds in every establishment — but none so much as a homely slice of Italy at Ciao. 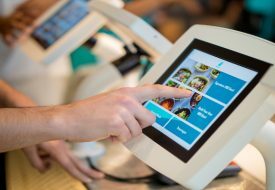 Unlike atas restaurants or franchise-style Italian eateries, Ciao is a unique concept here. It is a restaurant in a traditional-style Italian bar, with very homely dishes and unique ones as well. How did this idea come about? 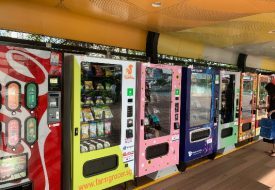 Five years ago, Executive Chef and owner Domenico Cicconi came to Singapore on holiday, and the different cultures present in the city left a deep impression. The thought of bringing authentic yet affordable Italian dining to Singapore then occurred to him. “I want young people who do not have that much money to be able to spend on real Italian food and wine,” he said. 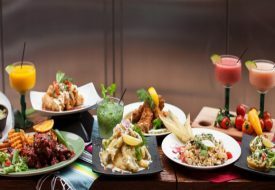 Unlike atas restaurants or franchise-style eateries Ciao is a restaurant-in-a-bar in the traditional Italian style, and has wine from 21 regions. But more than that, he wanted to offer locals a slice of authentic Italian culture. 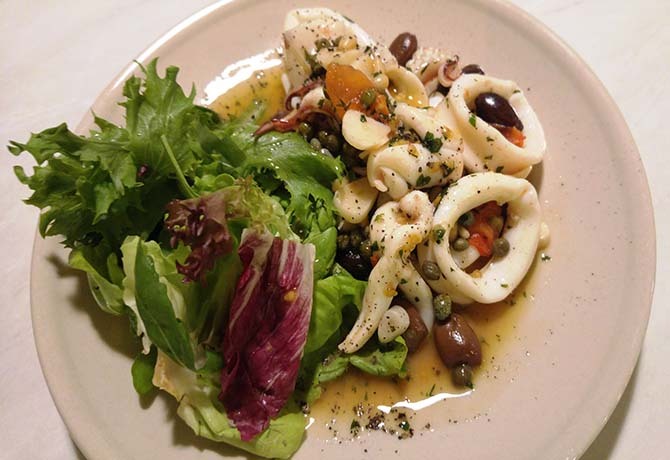 “Singaporeans know Italian food but don’t know what is inside the [Italian] home. I want to offer what is in my home,” he said. Our meal began with a platter of Fritto del Piceno ($16), a signature dish of the Marche region where Chef Domenico hails from, comprising deep-fried mixed cheeses, vegetables and a chef’s surprise. It reminded me of fritti misti (mixed fritters) I once had in the Piedmont region. Perhaps there are variations across the country. The Fritto del Piceno is a mixed bag, and it depends on what surprise you get. I wasn’t so keen on the artichoke. The Pan-fried Calamari with pine nuts, cherry tomato and olive taggiasche tasted fresh and flavourful, and was highly satisfying. However, the Pan-fried Calamari ($18) with pine nuts, cherry tomato and olive taggiasche was a pleasant surprise. It was fresh, chewy and a tad salty, but full of various flavours. It resembled a cold dish but was warm and satisfying. The Sughe d’Magre ($23), named using the dialect of the chef’s village at San Benedetto del Tronto, comprised linguine with tuna, anchovies and green olive in tomato sauce. The dish was made with his mother’s recipe and we felt as though we were dining at his home. The best dish of the night was the pork knuckle in beer sauce (Stinco di Mialle alla Birra) and it’s the best pork knuckle dish I’ve had. Nonetheless, the ultimate dish of the night was without question the pork knuckle in beer sauce (Stinco di Mialle alla Birra, $38), served with mashed potato and white cabbage. 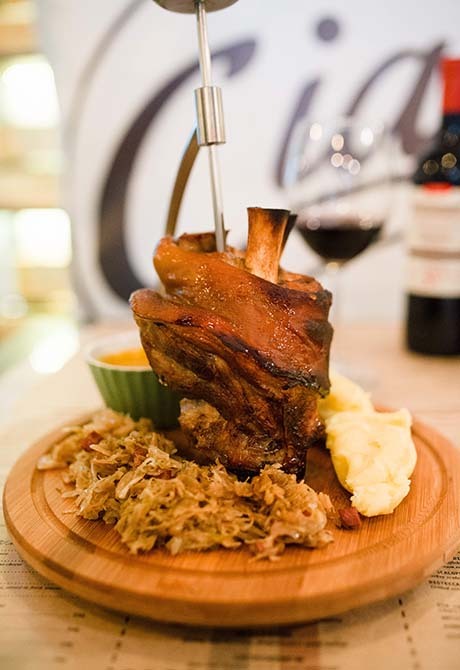 I was taken aback as, outwardly, it appeared to be the typical German pork knuckle dish or schweinhaxe. Chef Domenico explained that he had worked for a German company for seven years, and learnt how to make the dish. This one, however, was executed in his own style. With Chef Domenico’s method, the beer enters the meat and makes it more tender and tasty. While the skin is very crispy, the flesh inside easily tears apart at the prod of a fork. It was the best pork knuckle dish I’ve had. The German version can be a bit dry and I’m not a fan. The beer sauce also whetted my appetite for more even though I was stuffed and the white cabbage, similar to sauerkraut, came with bits of pancetta ham that made each bite more appetising. If pork, or meat, is not your preference, don’t fret. The Bistecca di Polipo ($32) or Grilled Octopus Steak was, to me, the second-best dish of the night. The octopus was not tough like in most octopus dishes I’ve had but was quite tender. Other items include the rich Tartufina pizza ($24) with mozzarella and truffle paste — a must-have for truffle lovers — and the Pizzawich ($15) which is an interesting creation. Apart from the food, Ciao also has a fully-stocked bar and wine from 21 regions in Italy. Zia (meaning “Aunt”) Luisa’s Tiramisu was put on the menu because of his daughter’s repeated requests. There’s always room for dessert and so I noticed Zia Luisa’s Tiramisu ($12) on the menu. “Zia” means “aunt”. 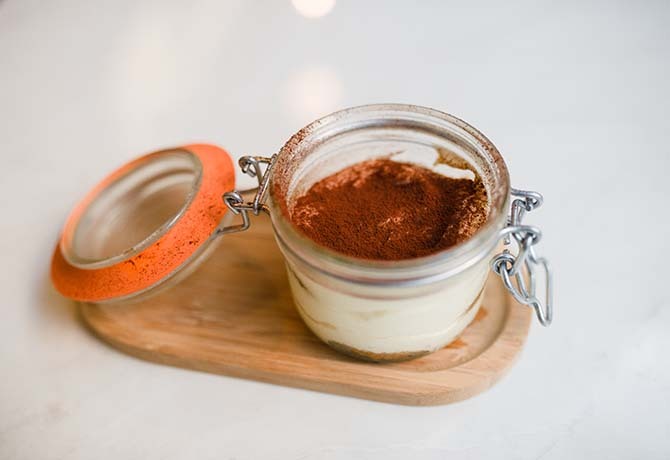 Zia Luisa’s Tiramisu certainly seems different from the usual. Its texture appears lighter yet creamier.